Logan Ellington during a game early this season. ETV 10 News stock photo by Jeff Barrett. After a crushing defeat in the first round of the 1A State Playoffs, the Pinnacle Panthers rebounded in the consolation bracket to keep their championship dreams alive. Beginning Wednesday, the Panthers kicked off the tournament in Richfield with a game against Panguitch. Pinnacle couldn’t seem to stop Panguitch as the team poured in 32 points in the first quarter as the Panthers managed only nine. Panguitch never relinquished its lead as it went on to outscore the Panthers 71-27, taking the first round win. Kaden Daughters led the Panthers in their effort, managing seven points, including one bucket form downtown. 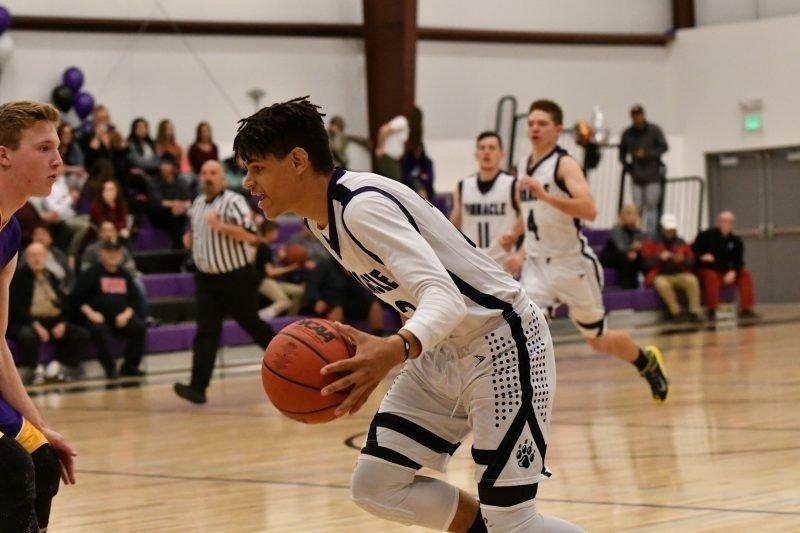 Pinnacle kept itself in the playoff race following a narrow win in the consolation bracket against Water Canyon on Thursday. Panther Logan Ellington scored 16 points in the game, launching his team to a narrow 34-31 victory. At the half, the contest was close as Water Canyon took the one-point lead, 18-17, into the break. The Panthers went on to outscore their opponents 17-13 in the second half to take the win. With the win in the consolation bracket, Pinnacle will next take on Rich in another consolation game on Friday at 1 p.m.